Faberge eggs are an aspect of Russian culture and history that have fascinated the world, much like nesting dolls and other Russian souvenirs. Their display of craftsmanship, value, and rarity increase the mystery and romanticism that surrounds them. But why were they created, what is their story, and where can visitors to Russia see them now? The cultures of Eastern Europe have long seen symbolism in the egg, and the Easter egg has stood for both pagan and Christian beliefs for centuries. Pre-Christian peoples decorated eggs using natural dyes, and today each country (and in fact, each region) has its own technique and set of patterns that have grown out of many generations of families decorating eggs to honor their religion, present as gifts, create good luck and protective objects, predict the future, and outdo each other in competitions. Russian Easter traditions also call for the decoration and gifting of eggs for this important holiday. It was out of this long-standing common tradition that the idea of Faberge eggs was born. Of course, Russian royalty was known for its lavish expenditure and love of luxury, and so Easter eggs of the reigning nobility had to be exquisite, expensive, and novel. The Russian tsar and emperor Alexander III is the first to have commissioned the making of a special Easter egg in 1885, which was presented to his wife. This egg was the Hen Egg, an enamel egg made that contained a yolk which, in turn, contained a chicken with movable parts. The chicken contained two additional surprises (a miniature crown and a ruby pendant—now lost). It was Peter Carl Faberge’s workshop that made this egg, the first of over 50 that were to follow. Faberge and his jewelry workshop had made their impression in Russia, and the goldsmith’s and businessman’s skill and creativity enabled him to create the eggs that continue to enchant us today. 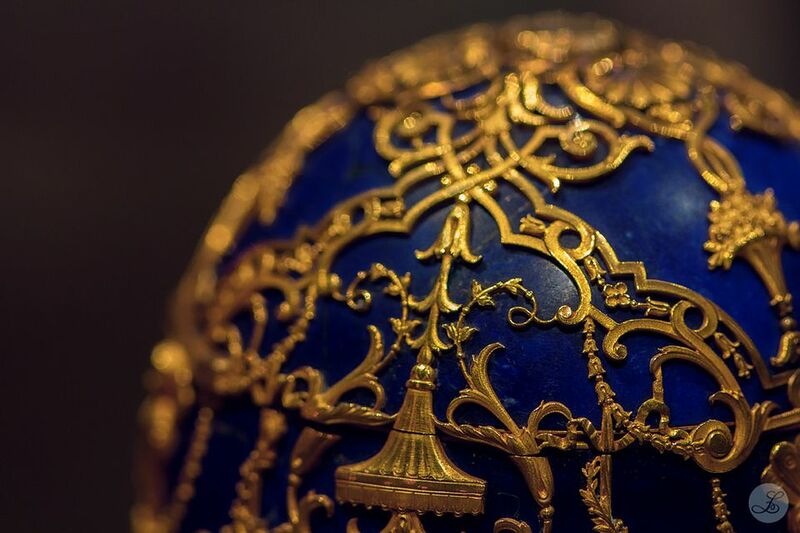 While gold and enamel pendants in the shape of eggs that are mass-produced are sometimes called Faberge eggs, the first was completely unique art objects made by master craftsmen. The Hen Egg encouraged a tradition of the tsar gifting an Easter egg to his wife. Peter Carl Faberge designed the eggs and their requisite surprise. His team of craftsmen then executed the production of each egg, using precious metals, enamelwork, and stones including rock crystal, ruby, jadeite, diamonds, and other jewels including pearls. Alexander III presented an egg to his wife, Maria Fedorovna, every year until his death until 1894. Afterward, his son, Nicholas II, picked up this tradition and gave Faberge eggs to both his mother and his wife for each year, with only a brief interruption for the Russo-Japanese War, until 1916. Two additional eggs were slated to be made for the year 1917, but this year spelled the end of the Russian monarchy and the eggs did not reach their intended recipients. These eggs were not only pretty objects, though they certainly are pleasing to the eye. They were often mementos of important events, such as the Coronation Egg that marked the ascension of Nicholas II to the crown or the Romanov Tercentenary Egg that celebrated the anniversary of 300 years of Romanov family rule. Through these very specific designs, a segment of Russian history is told through the eyes of the imperial family. Faberge also made eggs for Europe’s famous and wealthy, though arguably these are not as grand as those made for the Russian royal family. The workshop produced many other pieces of decorative artwork for the Romanovs and nobility, ruling families, and the rich and powerful around the world, including enameled picture frames, parasol handles, desk sets, letter openers, wearable jewelry, and jeweled flowers. The upheavals of the 1917 Russian Revolution, both due to the end of the monarchy and due to the ensuing economic and political instability of the nation, put the Faberge eggs—as well as much of Russia’s artistic and imperial heritage—at risk. Sometime later, under Stalin, high-quality pieces were rapidly sold off to wealthy bidders. Collectors such as Armand Hammer and Malcolm Forbes rushed to purchase these prized pieces of decorative art. Other famous Americans able to get their hands on pieces from the Faberge workshops include J.P.
Morgan, Jr. and the Vanderbilts, and these gradually became a part of prized private collections. The 1996-97 exhibition Faberge in America showcased these objects in a circuit of several museums throughout the United States, including the Metropolitan Museum of Art in New York, the Virginia Museum of Fine Arts, and the Cleveland Museum of Art. Though many of the eggs are still in existence, some of their surprises have been lost. Not all of the eggs left Russia, which is good news for visitors who want to see the eggs in their native environment. Ten eggs can be found at the Armoury Museum of the Kremlin, which contains many more historical pieces of Russian royal history, including crowns, thrones, and other treasures. The imperial eggs in the Armoury Museum’s collection include the blue Memory of Azov Egg of 1891; the Bouquet of Lilies Clock Egg of 1899; the Trans-Siberian Railway Egg of 1900; the Clover Leaf Egg of 1902; the Moscow Kremlin Egg of 1906; the Alexander Palace Egg of 1908; the Standart Yacht Egg of 1909; the Alexander III Equestrian Egg of 1910; the Romanov Tercentenary Egg of 1913; and the Steel Military Egg of 1916. A privately owned museum called the Faberge Museum in St. Petersburg contains the egg collection of Viktor Vekselburg. In addition to the initial Hen Egg that began the Faberge Easter egg tradition, eight more eggs can be viewed in this museum: the Renaissance Egg of 1894; the Rosebud Egg of 1895; the Coronation Egg of 1897; the Lilies of the Valley Egg of 1898; the Cockerel Egg of 1900; the Fifteenth Anniversary Egg of 1911; the Bay Tree Egg of 1911; and the Order of St. George Egg of 1916. Non-imperial eggs (eggs that were not made for the Russian royal family) included in Vekselburg’s collection include the two eggs made for the industrialist Alexander Kelch and four other eggs made for various individuals. Other Faberge eggs are scattered in museums throughout Europe and the United States.